Terry Porter was a solid two-way point guard who spent most of his career with the Portland Trail Blazers and was a key contributor to their 1992 playoff run with Clyde Drexler at the helm, where they made it all the way to the Finals to square off against Micheal Jordan and the Bulls. During that off-season, Porter contributed 6.7 APG, 4.6 RPG and 21.4 PPG on a very efficient 51.6 FG% and 47.4 3P%. 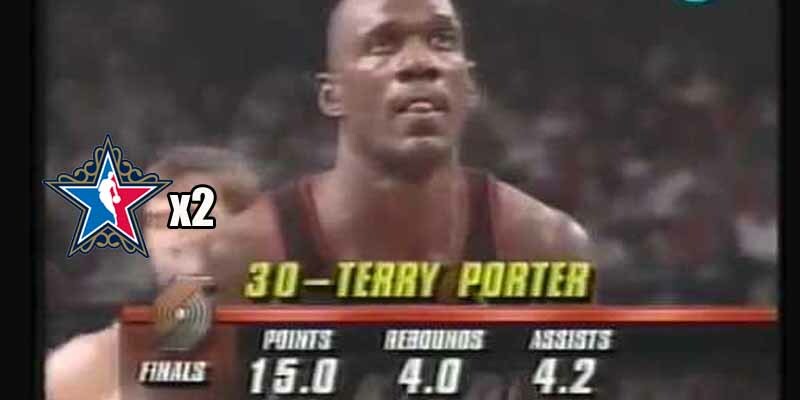 Outside of the 1992 playoffs, Porter was also well known for his durability, playing at least 77 games in his first 9 seasons with the Blazers, full 82 games in five of them.